Not 1 but 12 protein packed handy snack sized bags of delicious oven roasted hazelnuts, pistachios, goji berries and raisins! Great for refuelling your muscles after a hard gym session. 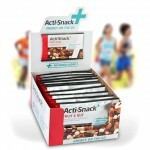 This 40g pack contains a perfectly balanced combination of carbohydrates for fuel and protein for recovery in a handy portion controlled size. 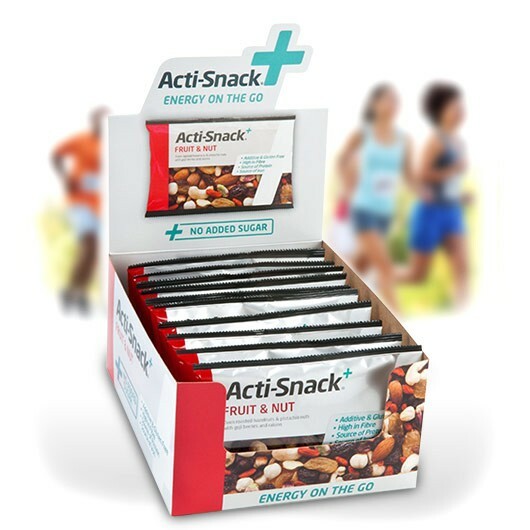 Acti-snack fruit and nut is an ideal snack for those who lead an active lifestyle, to help aid recovery or provide a totally natural pre-workout energy boost. 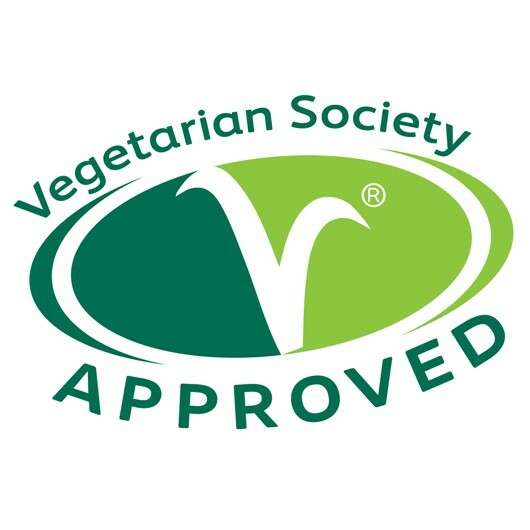 Also a perfect topping for your porridge, cereals or yoghurt for a supercharged breakfast. Shelf Life: 9 months. See date on pack.